A solid timber door brings warmth and texture to the frontage of your home to make a lasting first impression. In contrast to a hollow alternative, a solid door is sturdy, secure, and a delight to swing open and closed. Made to your dimensions and designed specifically for you, your door will fit snuggly and integrate perfectly with the aesthetic of your home. 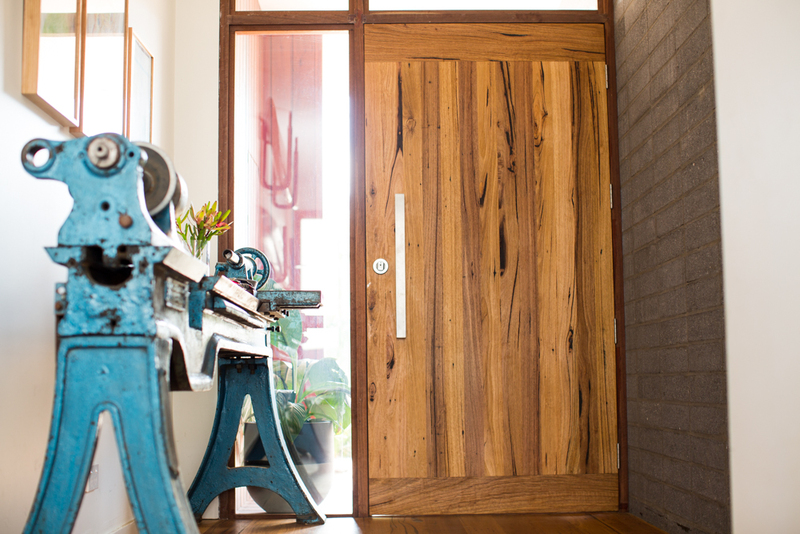 While Ironbark, Jarrah, or Red Gum are suitable for full sun and water exposure, for undercover doorways, any hardwood timber can be used to achieve the perfect the tonal variance, feature and colouring that will best complement your design. A natural oil and wax is used to maintain the natural beauty of the timber, with a special UV protector finish used on doors that receive direct sunlight. Send through an enquiry here to discuss your project.